Okay, it's Thanksgiving Eve and I am finishing up the cooking for the big day. So, here it is...the very first "Nat's Runbit" of the day! This is super simple, but (as we all know) oh so important for running. I had been running in okay socks, and I didn't realize until this summer how much more lovely running could be with superior socks! Feetures socks are the best! They prevent blisters, they are super-comfy and they keep your feet cool, dry and happy. I buy two or three pair every time I go to my local running store. Happy feet = a very happy runner. I like the light cushion, low cut version as seen below, but they have so many variations! 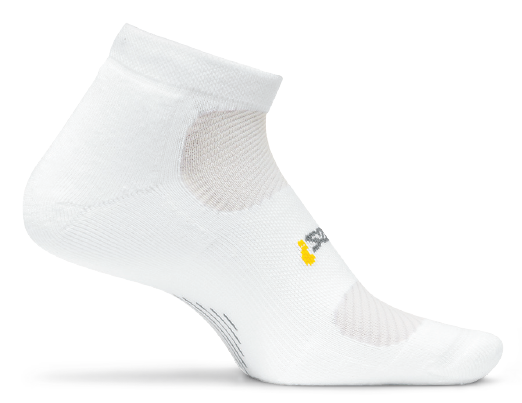 What is your favorite running sock?